Self-driving cars are gradually becoming more and more mainstream as most major manufacturers have increased their investment in this technology. Tesla is among the few organizations that offer shopper prepared vehicles with at any rate some self-driving abilities, however it requires a mindful driver show constantly and is just ready to perform insignificant capacities, for example, moving to another lane or braking. Yet at the same time, Tesla's cycle is only a drive-help highlight, and can't generally be considered really "self-driving". Volvo’s changing that, and has a more realistic approach to this. 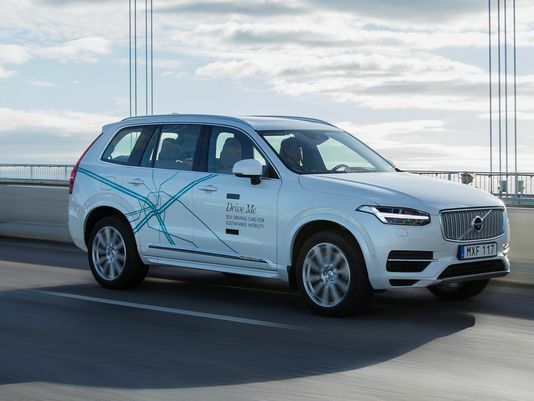 The company says that it will soon bring Level 4 autonomous cars in the market, which will be available to purchase by 2021, both usable and consumer-ready. Level 4 autonomy does not mean 100% autonomy, it just means that most of the driving functions can be transferred to the system so that the driver can take breaks between long-distance driving. The feature will work just for mapped highways initially, and will let drivers “to eat, sleep, work, watch a movie, relax, [or] do whatever”. The new solution is called Highway Assist, it gives 70-percent fool-proof autonomy to the vehicle and might influence how future self-driving cars are made. Highway Assist will roll out for Volvo’s flagship XC90 SUV, and should definitely come at a hefty cost in the beginning as the feature is still new, and first of its kind. Over the years, we can expect it to appear in more vehicles and for cheap because hardware prices will lower in the future.